The State Police union claims the activation of a GPS system broke state law regarding collective bargaining. 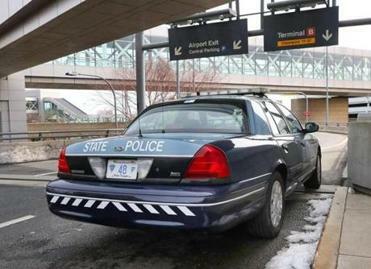 The union representing Massachusetts State Police is pushing back against a recent major reform, accusing the agency’s leaders of acting in bad faith by forcing a GPS vehicle tracking system on troopers. 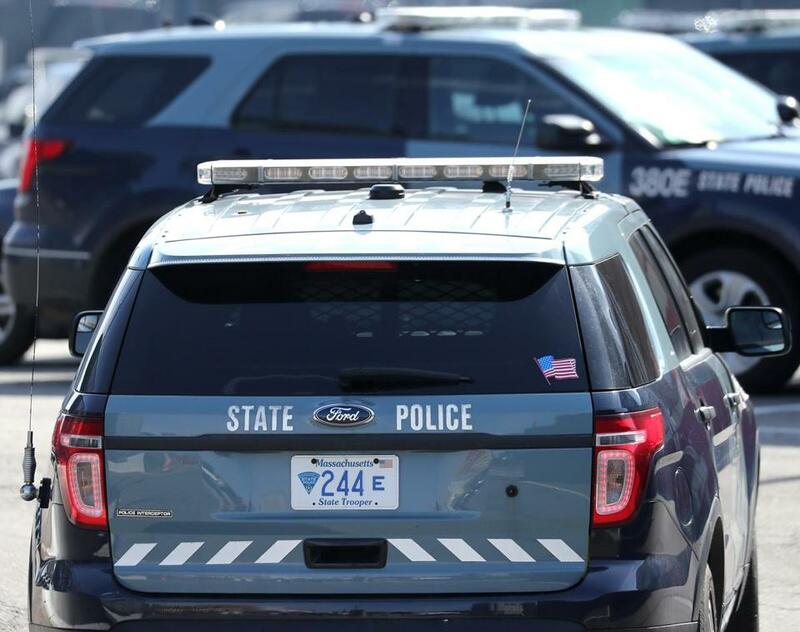 In a complaint filed late last week with the Massachusetts Department of Labor Relations, the State Police Association of Massachusetts said it had been trying for a year to negotiate with agency officials over a reorganization of the department and the launch of a GPS system. Last Wednesday, Governor Charlie Baker and State Police Colonel Kerry A Gilpin announced the immediate start of a vehicle tracking program, to the chagrin of troopers. The union’s complaint, filed May 4, alleges state officials “failed to bargain in good faith” and give the union a chance to negotiate the decision to implement GPS technology and vehicle tracking. In doing so, officials broke state law regarding public employers and collective bargaining, the union said. The complaint provides a window into the growing tensions between the 2,200-member force and its leaders amid a cascade of recent scandals and investigations. Top State Police brass will be able to more closely keep tabs on troopers, and members of the problem-plagued Troop E were officially disbanded. As of last Thursday, more than 1,000 State Police cruisers are tracked through the GPS system. The system, according to officials, allows top brass to more effectively deploy troopers and keep tabs on them. The state labor relations board enforces collective bargaining laws, and a complaint filed with the agency triggers a process similar to a court hearing and decision. The union’s action will not deter officials from moving forward, said State Police spokesman David Procopio. In the wake of the complaint, the Department of Labor Relations will schedule a hearing within two months and allow the union and management to present their argument. The union is asking that management be ordered to halt activation of the GPS system and be required to bargain reactivation with the union. Other police departments have faced friction over GPS. The Boston Police Patrolmen’s Association raised concerns in 2013 about the technology invading officers’ privacy, and exposing the department to tech-savvy criminals bent on hacking the system. But union president Michael Leary said Wednesday he was not aware of any issues since it was installed in cruisers. Unions often fear the technology will be used for disciplinary reasons, according to Ronal W. Serpas former vice president of the International Association of Chiefs of Police. Serpas, who previously led police agencies in New Orleans, Nashville, and Washington state, said the technology “cuts both ways,” helping to exonerate officers wrongly accused of misconduct, but also exposing those who have committed bad acts. In its complaint, the State Police Association of Massachusetts chronicles multiple attempts last year to discuss proposed changes from management concerning the creation of a new Division of Homeland Security and Preparedness. The friction started with a May 18, 2017, memo from then-Superintendent Colonel Richard McKeon, informing the union of the impending change and announcing his intention to also launch the GPS technology. McKeon also stated the department had the authority to launch such technology and did not consider GPS as subject to mandatory bargaining. That’s where the two sides parted company, according to the documents. Union and management met at least four times over the next five months to discuss the creation of the new division, and negotiate the impact of those changes on members, the documents show. But each time management brought up GPS, the union insisted the issue needed to be bargained separately, as the two sides were slated to soon start negotiating a new contract. Talks over the reorganization stalled in November, after it was disclosed that a trooper was ordered by superiors to remove embarrassing details from the arrest report of a judge’s daughter, and the attorney general’s office and State Police launched investigations. Negotiations regarding GPS never started, the documents show. The issue was not raised again until Baker and Gilpin announced at a press conference April 3 that GPS would be activated shortly, according to the union’s complaint. Still, the issue of GPS — even an agreement about talks to start negotiating the issue — has not been reached.